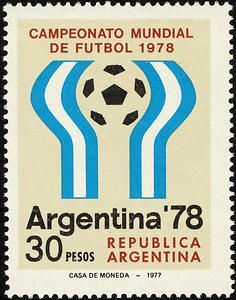 The 11th staging of the World Cup TM was held in Argentina in 1978. 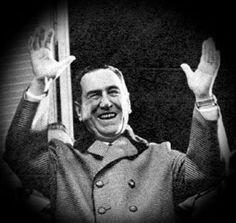 The competition logo was based on the signature gesture of former President Juan Perón i.e., a salute to the crowd with both arms extended above his head. 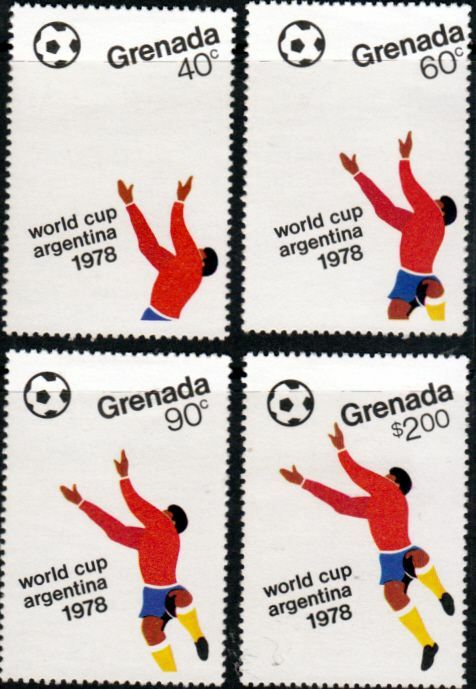 The design was had been in 1974, two years prior to the military coup in 1976. 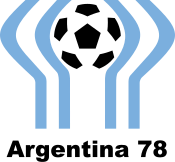 And whilst they tried to change the competition's logo, the design was already broadly commercialized and merchandise had already been made. A forced modification would automatically trigger a litany of lawsuits. against the country, and so the government dropped their objections. 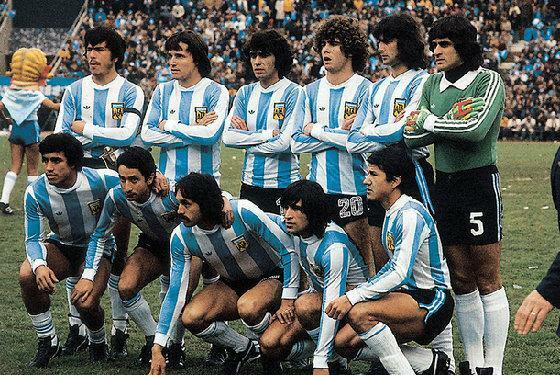 More than 100 nations entered the competition with the final sixteen teams: Argentina (hosts) and West Germany (title defenders) joined by Mexico, Brazil, Peru, Austria, France, Hungary , Italy , Netherlands , Poland, Scotland , Spain , and Sweden, Iran, and Tunisia made their first appearances in the finals. Some countries, most notably the Netherlands, considered not participating in the event for political reasons, but eventually all those who qualified took part without restrictions. 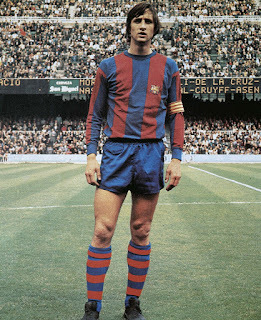 Johan Cruyff, did not play however, and may people have speculated he had either fallen out with the Dutch football association over sponsorship, or maybe he objected to Argentina's right-wing military junta. 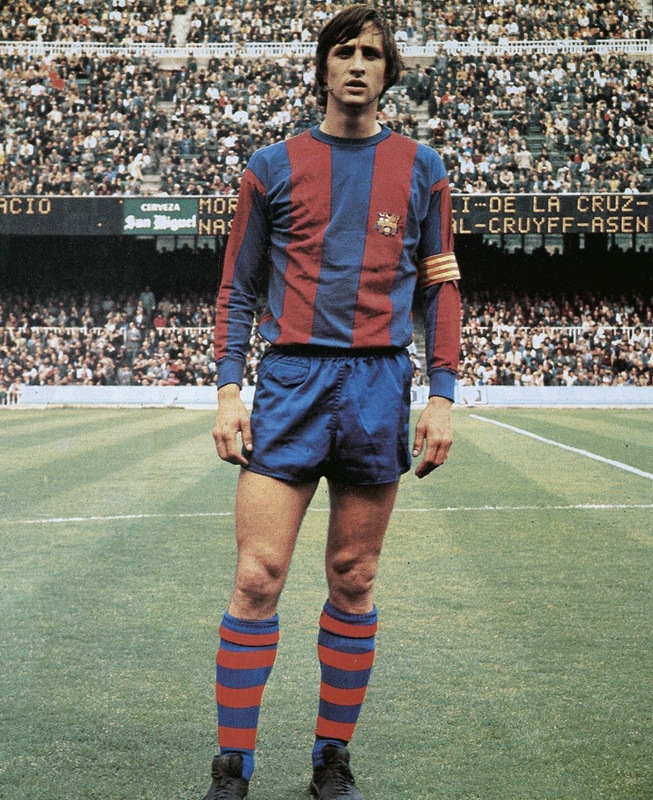 It remained a guarded secret until much later when it was revealed Cruyff and his family had been victims of a violent kidnap attempt a few months before the tournament. The player decided not to participate and gave up playing to the dismay of his fans. This would be the last FIFA World CupTM tournament to use the original inclusion of 16 teams. The qualifying 16 teams were, divided into four groups of four. Each group played a round-robin with two points for a win and one for a draw, and goal difference used to separate teams level on points. The top two teams in each group advanced to the second round, where they would be split into two groups of four. 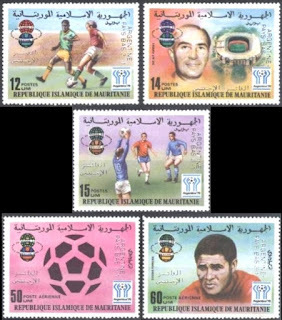 The winners of each group would play each other in the final, and the second-place finishers in the third-place match. In 1978, FIFA introduced the penalty shoot-out as a means of determining the winner in knockout stages should the match end on a draw after 120 minutes. 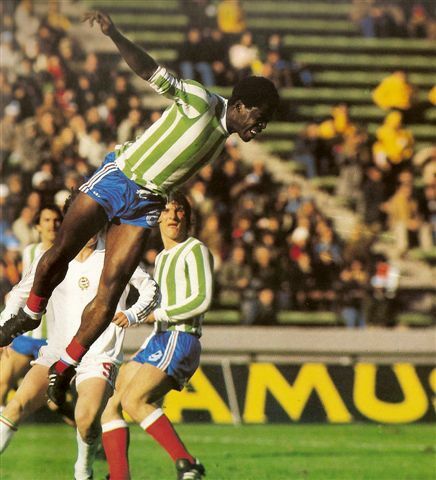 The method, was not put in practice as both the third-place match and the final were decided before 120 minutes. Six stadia were used in five cities. 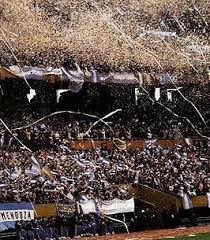 The Argentine national stadium, the Estadio Monumental in Buenos Aires was the largest and most used venue, hosting 9 total matches, including the final match. The Carreras Stadium in Cordoba hosted 8 matches, the stadiums in Mendoza, Rosario and Mar del Plata each hosted 6 matches and the Jose Amalfitani stadium in Buenos Aires hosted 3 matches. Brazil was forced by tournament organizers to play all three of its first group matches in Mar del Plata. The adidas Tango Rosario was the official world cup ball in 1978 and featured the adidas trademark for the first time. It had 20 panels with triads (curved edge triangles) to create an optical impression of 12 identical circles. 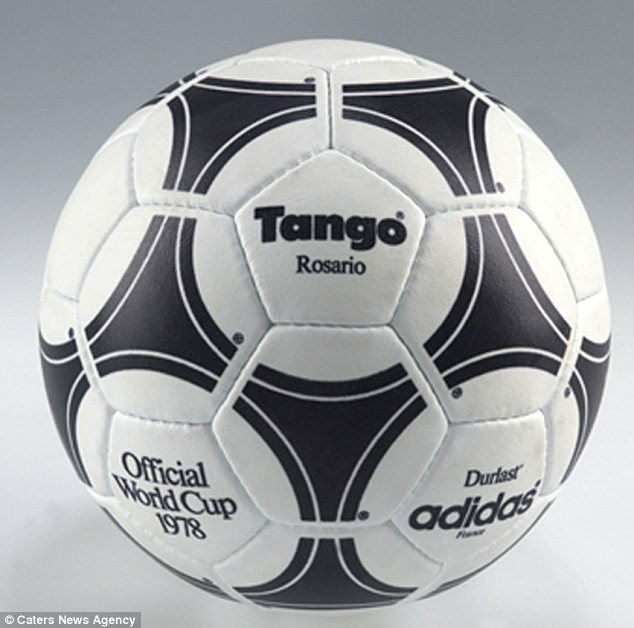 The ball hit the back of the net 102 times during the tournament. 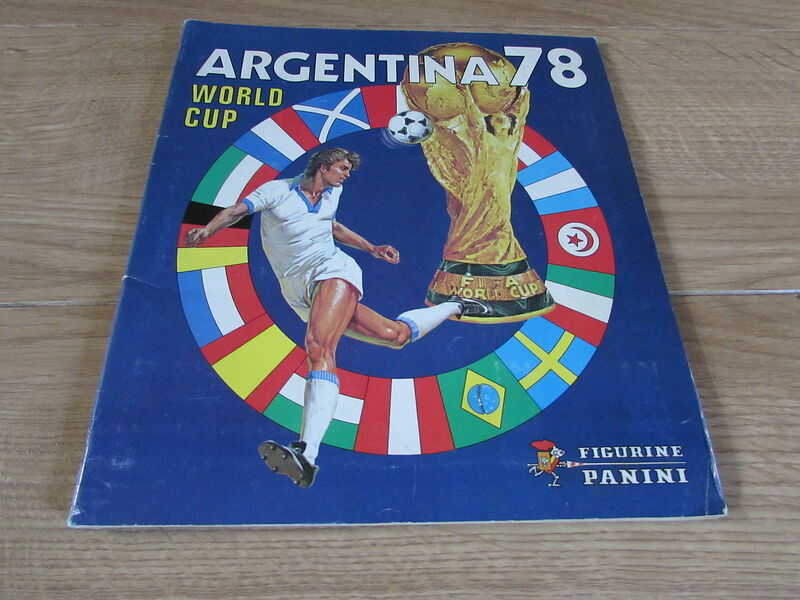 The official mascot of this World Cup was Gauchito, a boy wearing an Argentina kit. His hat (with the words ARGENTINA '78), and his neckerchief, and whip are typical of gauchos. In the Group 1 game between France and Hungary, both teams arrived at the venue with only their white change kits. The kickoff was delayed 40 minutes , while officials approached the local team Club Atlético Kimberley to borrow their strips. The Kimberley shirts had no numbers and there were only 14 outfield shirts in the Kimberley set. 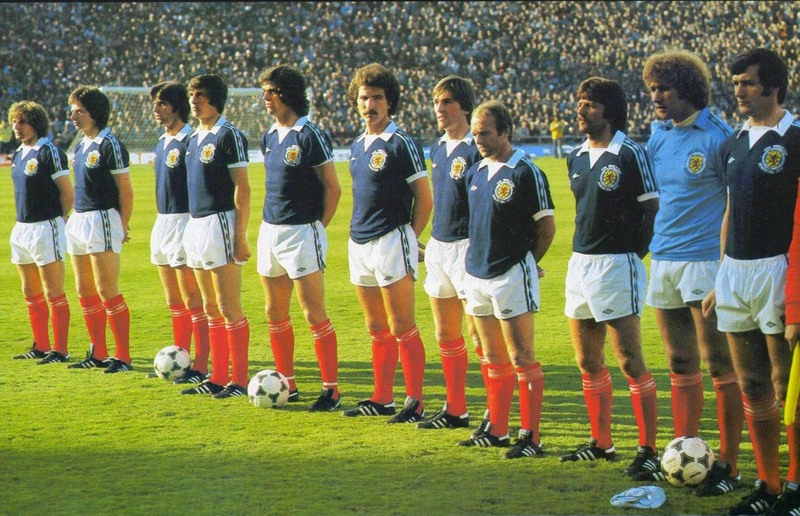 After temporary numbers were alloted to the strips it was discovered these did not co-ordinate with these on their shorts. 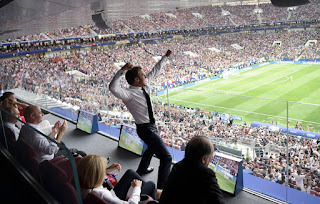 In any event the game went on and France won 3-1. 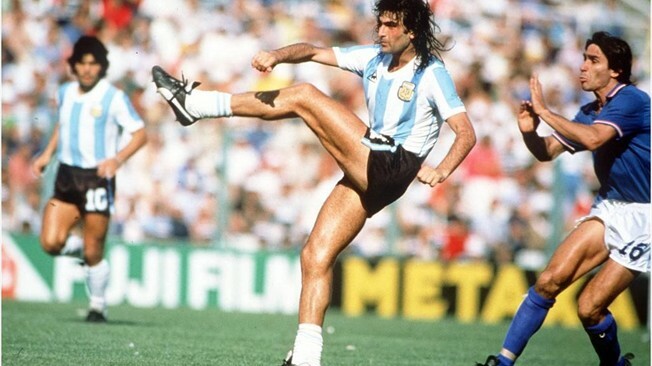 Meantime the hosts, Argentina were heavily criticised for having all their first-round games played at night, giving them the advantage of knowing where they stood in the group. 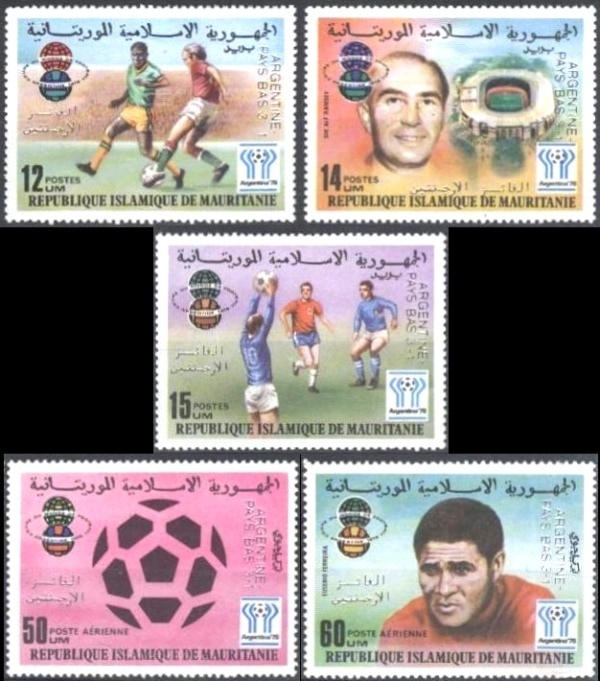 In Group2, Poland topped the group beating the world champions West Germany, but Tunisia made history by beating Mexico 3–1 to become the time. 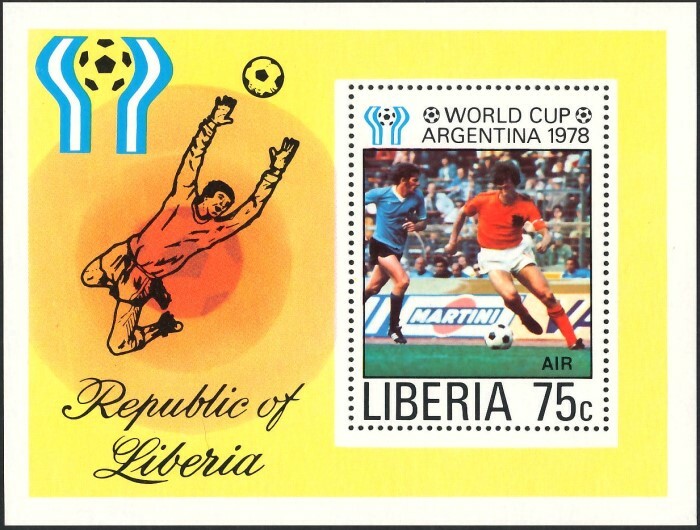 It was the first African team to win a match at the World Cup finals. Austria finished ahead of Brazil in Group 3 despite both teams finishing with the same number of points and the same goal difference. Austria however, won the group having scored more goals. In Group 4, Peru and the Netherlands went through to the knock out stages. 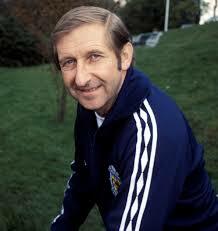 Scotland were again denied progression on goal difference for the second successive tournament. 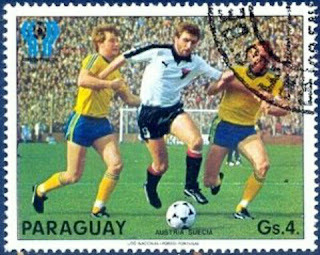 They did however beat the Netherlands 3-2, but not before Rob Rensenbrink (the Netherlands) scored the 1000th goal of World Cup history. 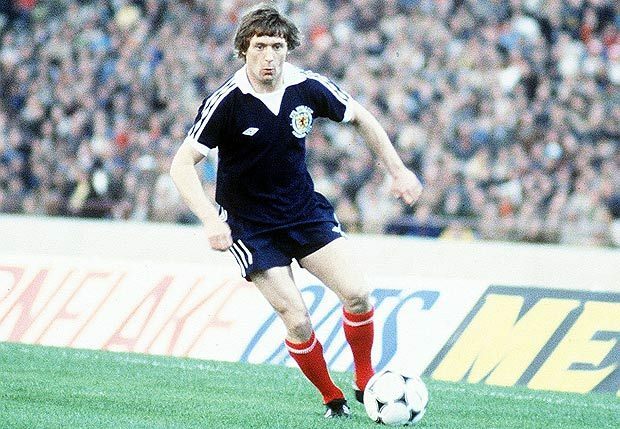 To further add to their woes, winger, Willie Johnston was expelled from the World Cup after he was found to have taken a banned stimulant during the opening game against Peru. The Netherlands got off to a flying start in Group A, by thrashing Austria 5–1. 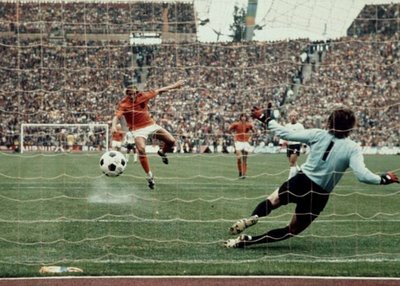 In their game against Italy, Ernie Brandts scored an own goal before scoring at the other end of the field to tie the game. Arie Haan, netted the winner for the Netherlands who went onto their second successive World Cup Final. Group B was essentially a battle between Argentina and Brazil and was resolved in controversial circumstances. Both teams went into the last round of matches with three points. Argentina delayed the kick-off to hear the result of the Brazil-Poland encounter. 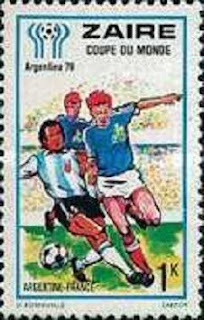 Brazil won by a 3–1 score, meaning Argentina had to beat Peru by four clear goals to reach the final. 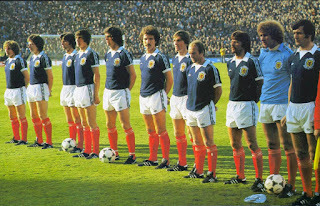 Eventually the host nation won 6-0. 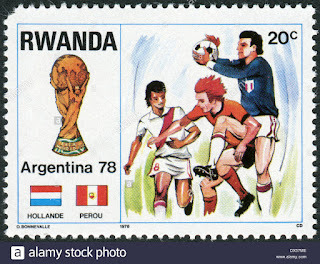 After the game it was suggested Peru may have been bribed or threatened into allowing Argentina to win the match by such a large margin. However, nothing could be proved. 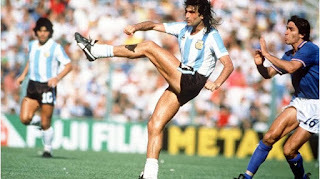 The competition’s top goal scorer was Mario Kempes (Argentina) with 6 goals (including 2 penalties) to his credit. 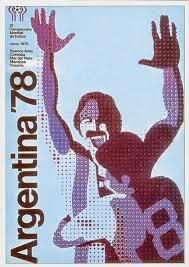 Argentina met the Netherlands in the final played at the Estadio Monumental Buenos Aires, in front of 71,483 spectators. 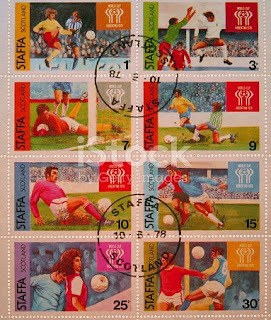 The host team were accused of time wasting and delayed the kick off with childish stalling antics. The game ended in a one all draw after ninety minutes, but Argentina won the final 3–1, after extra time. 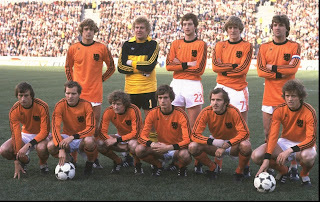 The Netherlands had lost their second consecutive World Cup final.